Henry Hetherington, the son of a London tailor, was born in 1792. When he was thirteen he began work as an apprentice printer at Luke Hansard's printing works. In the 1820s Hetherington became influenced by the ideas of Robert Owen and joined the co-operative printers association. He also became active in the Radical Reform Association. In 1822 Hetherington started his own printing and publishing company. This was a time when reformers like Richard Carlile were being imprisoned for publishing material that was critical of the government. However, for people like Hetherington and Carlile, the publication of newspapers and pamphlets were vitally important in the political education of the working class. In the 1830s Hetherington published a series of radical newspapers including: The Penny Papers (1830); The Radical (1831) and The Poor Man's Guardian (1831-1835). Hetherington used his newspapers to campaign for the vote for the working classes. However, he rejected the 1832 Reform Act: "To talk of representation, in any shape, being of any use to the people is sheer nonsense, unless the people have a House of working men, and represent themselves. Those who make the laws now, and are intended, by the reform bill, to make them in future all live by profits of some sort or another. They will, therefore, no matter who elect them,or how often they are elected, always make the laws to raise profits and keep down the price of labour." In 1833 Hetherington was selling 22,000 copies a week of the Poor Man's Guardian. Hetherington was punished by the authorities several times for these activities. This included being fined on numerous occasions, imprisoned in 1833 and 1836, and having all his printing presses seized and destroyed in 1835. 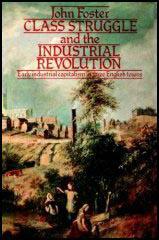 During this period Hetherington became the most significant figure in the radical press. William Lovett pointed out: "When Mr. Hetherington first commenced the publication of the Poor Man's Guardian he was established in Kings Gate Street, Holborn, as a printer, with a fair run of business, which for a tome was nearly ruined by the resolute course he pursued. For his name as a Radical became so obnoxious to many of his customers that they withdrew their printing from him. I remember being present on one occasion when one of Mr. Hetherington's customers, in a large way of business, offered to give him as much printing as he could do on his premises, provided he would give up his Radical publications; but he nobly refused. The first time he appeared at Bow Street to answer the charge of printing and publishing the Guardian and Republican he honestly told the magistrates that he was determined to resist the efforts of a corrupt government to suppress the voice of the people." Hetherington played a leading role in the campaign against the heavy taxes on newspapers and pamphlets. This campaign resulted in several reforms in the law. In 1833 when the four-penny tax on newspapers was reduced to one-penny. The same year Parliament agreed to remove the tax on pamphlets. His friend, R. G. Gammage, explained the important role played by Hetherington in this struggle: "In the great battle of the unstamped press in which he bore so conspicuous a part, sustaining as he did several government prosecutions, his name became a household word amongst the members of the radical party. Possessed of indomitable courage and inflexible perseverance, defying persecution, and trampling on the Stamp Act, he had earned for himself a reputation which caused the more advanced of the working class to gather round him in scores, sometimes in hundreds. His rough strong logic struck conviction into every mind, while his dry and essentially English humour, gave to it an agreeable zest. In his newspapers Henry Hetherington campaigned against child labour, the 1834 Poor Law and political corruption. Hetherington joined William Lovett, James Watson and John Cleave to form the London Working Man's Association (LWMA) in 1836. Hetherington, who became the LWMA first treasurer, helped draw up a Charter of political demands. By 1836 Hetherington was one of the leaders of the Chartist movement. 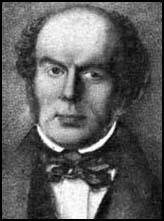 Hetherington was a moral force Chartist and was very critical of the ideas of Feargus O'Connor and in 1849 helped create the moderate Peoples Charter Union. In 1835 the two leading unstamped radical newspapers, the Poor Man's Guardian, and The Police Gazette, were selling more copies in a day than The Times sold all week. It was estimated at the time that the circulation of leading six unstamped newspapers had now reached 200,000. In the House of Commons, John Roebuck led the campaign against taxes on newspapers. In 1836 the campaigners had their first success when the 4d. tax on newspapers was reduced to 1d. The same year Parliament agreed to remove the tax on pamphlets. The campaigned continued and in 1849 a group of publishers led by Henry Hetherington and George Holyoake formed the Newspaper Stamp Abolition Committee. A few months later, he became ill with cholera. After being told he was going to die he issued a statement: "I believe death to be an eternal sleep - that I shall never live again in this world, or another, with a consciousness that I am the same identical person that once lived, performed the duties, and exercised the functions of a human being.... I consider priestcraft and superstition the greatest obstacle to human improvement and happiness. During my life I have, to the best of my ability, sincerely and strenuously exposed and opposed them, and die with a firm conviction that Truth, Justice, and Liberty will never be permanently established on earth till every vestige of priestcraft and superstition be utterly destroyed." He ended the statement with the following words: "These are my views and principles in quitting an existence that has been chequered with the plagues and pleasures of a competitive, scrambling, selfish system; a system by which the moral and social aspirations of the noblest human being are nullified by incessant toil and physical deprivations; by which, indeed, all men are trained to be either slaves, hypocrites or criminals. Hence my ardent attachment to the principles of that great and good man Robert Owen. I quit this world with a firm conviction that his system is the only true road to human emancipation." Henry Hetherington died on 23rd August 1849. Two thousand people gathered at Kensal Green Cemetery to pay their respects to the the man who had spent his adult life fighting for social reform. Two of his close friends, George Holyoake and James Watson, adressed the large crowd. We, the Poor Man's Guardian, proclaim that we represent the working, productive, and useful but poor classes, who constitute a very great majority of the population of Great Britain. We proclaim that some hundreds of thousands of the poor have elected us the Guardian of their rights and liberties. To talk of representation, in any shape, being of any use to the people is sheer nonsense, unless the people have a House of working men, and represent themselves. Those who make the laws now, and are intended, by the reform bill, to make them in future all live by profits of some sort or another. They will, therefore, no matter who elect them,or how often they are elected, always make the laws to raise profits and keep down the price of labour. I am, with many more of my friends and brother Radicals, sorry to hear that the Poor Man's Guardian is to be continued no longer. It has been my leading star, and I have no doubt of hundreds more like me. I hope and trust that when the name and fame of such men as the bloodstained hero of Waterloo shall be sunk in oblivion, or only thought of with contempt, the name of the Editor of the Poor Man's Guardian will be celebrated with songs of joy. That you may meet with success in your next undertaking, is the sincere wish of a working man. About eleven o'clock nearly 20,000 men, chiefly belonging to the Union of the Working Classes, assembled in Finsbury Square. The leaders of the people consisted of five or six individuals, amongst whom were Mr. Hetherington (lately released from prison, where he had been confined for non-payment of fines for publishing unstamped penny newspapers), Mr Lovett and Mr. Watson. A conflict took place between the police and the people, the former of whom used their starves, and the latter stones, which wounded several of the officers. In a little time some persons were taken into custody, and conveyed, amidst the most defening yells, to the station. (5) R. G. Gammage was friend of Henry Hetherington and wrote an account of the man in his book History of the Chartist Movement published in 1894. In the great battle of the unstamped press in which he bore so conspicuous a part, sustaining as he did several government prosecutions, his name became a household word amongst the members of the radical party. Possessed of indomitable courage and inflexible perseverance, defying persecution, and trampling on the Stamp Act, he had earned for himself a reputation which caused the more advanced of the working class to gather round him in scores, sometimes in hundreds. His rough strong logic struck conviction into every mind, while his dry and essentially English humour, gave to it an agreeable zest. 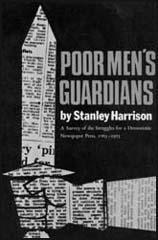 When Mr. Hetherington first commenced the publication of the Poor Man's Guardian he was established in Kings Gate Street, Holborn, as a printer, with a fair run of business, which for a tome was nearly ruined by the resolute course he pursued. For his name as a Radical became so obnoxious to many of his customers that they withdrew their printing from him. I remember being present on one occasion when one of Mr. Hetherington's customers, in a large way of business, offered to give him as much printing as he could do on his premises, provided he would give up his Radical publications; but he nobly refused. The first time he appeared at Bow Street to answer the charge of printing and publishing the Guardian and Republican he honestly told the magistrates that he was determined to resist the efforts of a corrupt government to suppress the voice of the people. As life is uncertain, it behoves everyone to make preparations for death; I deem it therefore a duty incumbent on me, ere I quit this life, to express in writing, for the satisfaction and guidance of esteemed friends, my feelings and opinions in reference to our common principles. In the first place, then - I calmly and deliberately declare that I do not believe in the popular notion of an Almighty, All-wise and Benevolent God - possessing intelligence, and conscious of his own operations; because these attributes involve such a mass of absurdities and contradictions, so much cruelty and injustice on His part to the poor and destitute portion of His creatures - that, in my opinion, no rational reflecting mind can, after disinterested investigation, give credence to the existence of such a Being. Second, I believe death to be an eternal sleep - that I shall never live again in this world, or another, with a consciousness that I am the same identical person that once lived, performed the duties, and exercised the functions of a human being. Third, I consider priestcraft and superstition the greatest obstacle to human improvement and happiness. During my life I have, to the best of my ability, sincerely and strenuously exposed and opposed them, and die with a firm conviction that Truth, Justice, and Liberty will never be permanently established on earth till every vestige of priestcraft and superstition be utterly destroyed. Fourth, I have ever considered that the only religion useful to man consists exclusively of the practice of morality, and in the mutual interchange of kind actions. In such a religion there is no room for priests and when I see them interfering at our births, marriages and deaths pretending to conduct us safely through this state of being to another and happier world, any disinterested person of the least shrewdness and discernment must perceive that their sole aim is to stultify the minds of the people by their incomprehensible doctrines that they may the more effectively fleece the poor deluded sheep who listen to their empty babblings and mystifications. Fifth, as I have lived so I die, a determined opponent to the nefarious and plundering system. I wish my friends, therefore, to deposit my remains in unconsecrated ground, and trust they will allow no priest, or clergyman of any denomination, to interfere in any way whatsoever at my funeral. These are my views and principles in quitting an existence that has been chequered with the plagues and pleasures of a competitive, scrambling, selfish system; a system by which the moral and social aspirations of the noblest human being are nullified by incessant toil and physical deprivations; by which, indeed, all men are trained to be either slaves, hypocrites or criminals. Hence my ardent attachment to the principles of that great and good man Robert Owen. I quit this world with a firm conviction that his system is the only true road to human emancipation . (8) R. G. Gammage was a member of the large crowd that attended Henry Hetherington funeral in 1849. In 1849 Henry Hetherington died of cholera. Hetherington was followed to his grave by a large number of friends. Five hundred walked in procession and not less than two thousand were at the grave. G. J. Holyoake delivered an appropriate address on the occasion, as did James Watson, one of his oldest political associates.